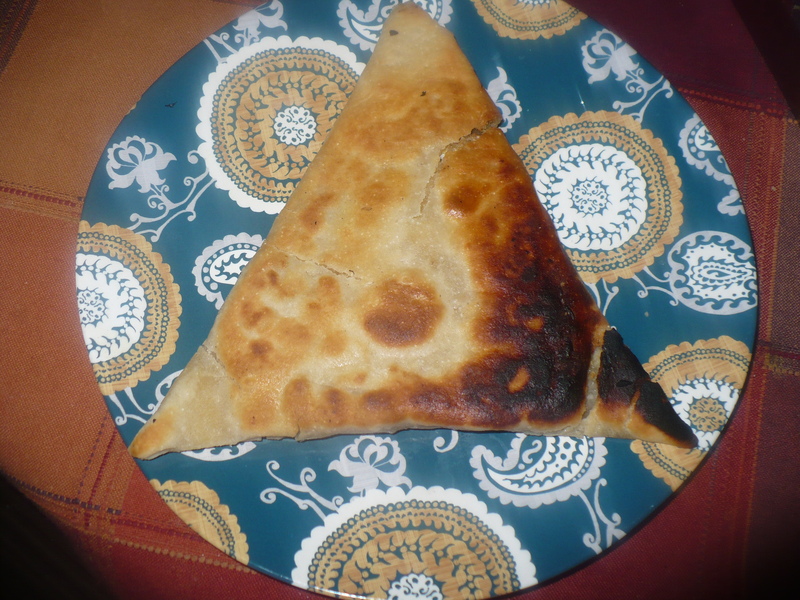 Triangle shaped Paratha can be made of two ways . One has layers and another simple triangle shape . I’ll explain both with the pictures . 1. 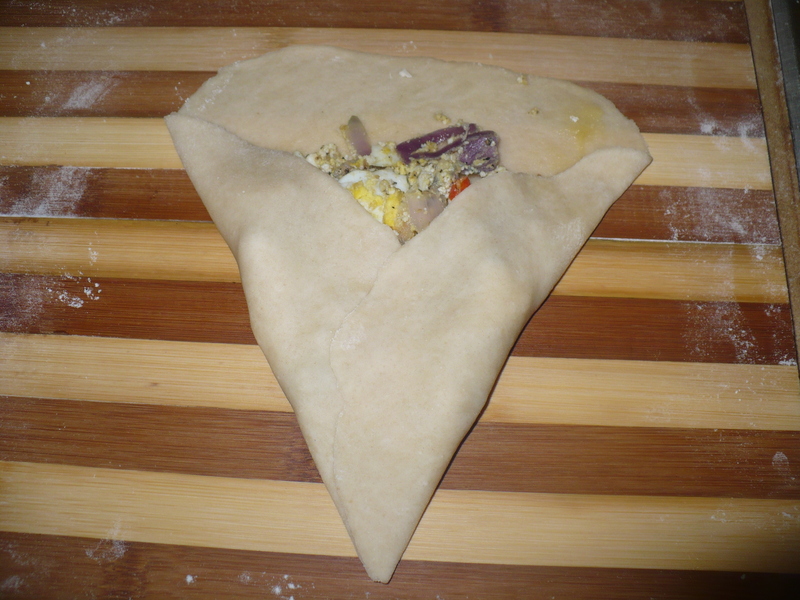 Make the filling first . Slice the egg . 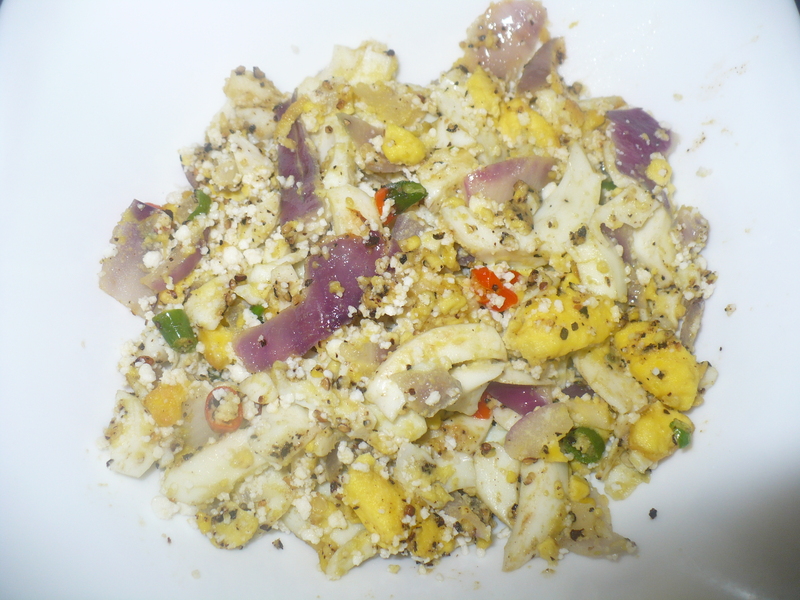 Heat butter and add egg, chopped onion, chopped mint and green chilies . Add salt and crushed black pepper . It won’t take more than 2/ 3 minutes. 2. 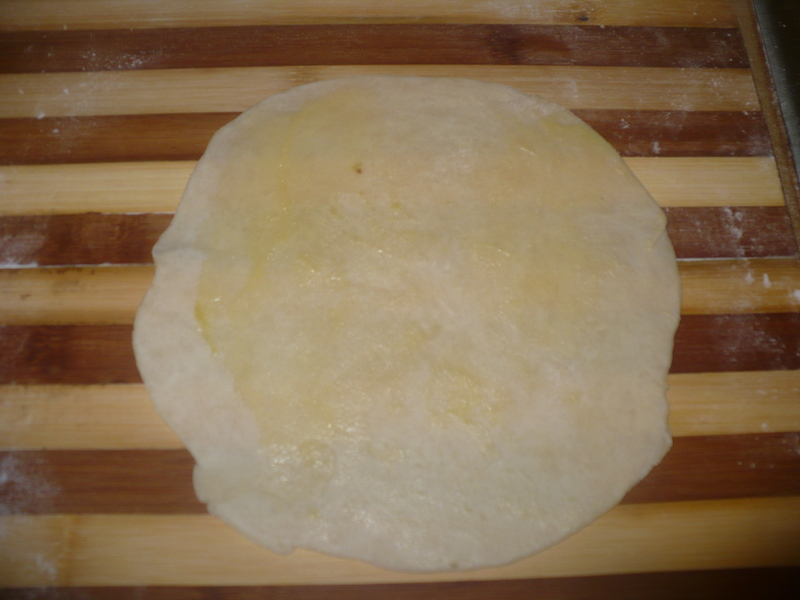 For the dough , mix maida, semolina(sooji), baking powder, salt, sugar and oil . That’s what we call “moyan” . 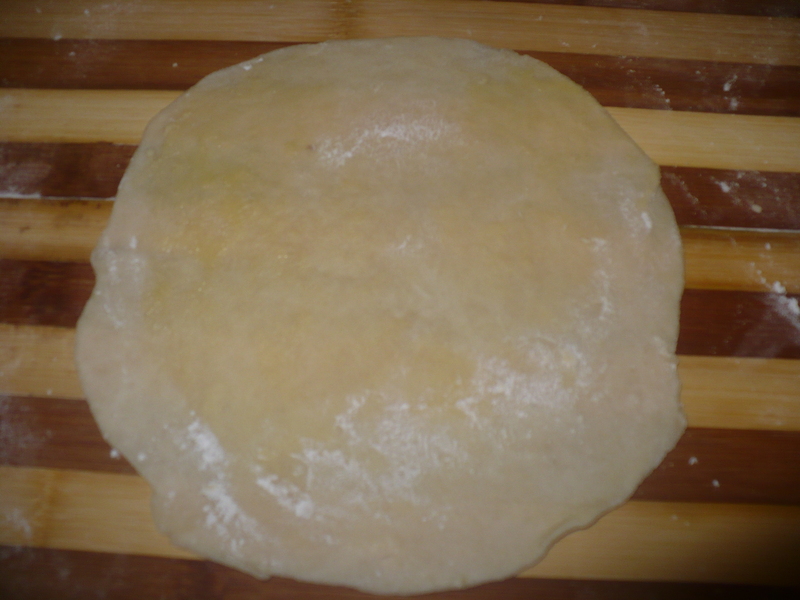 Now add enough room temperature water to make a medium hard dough . Just enough to make the dough come out from the bowl. Knead well .Cover it with a warm cheese cloth and keep aside for atleast 30 minutes . 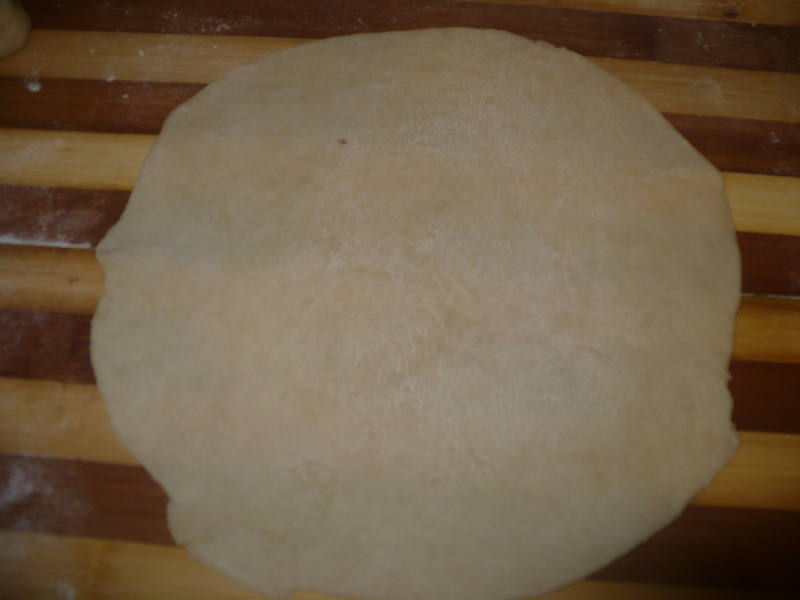 The dough will be softer and stretchy. 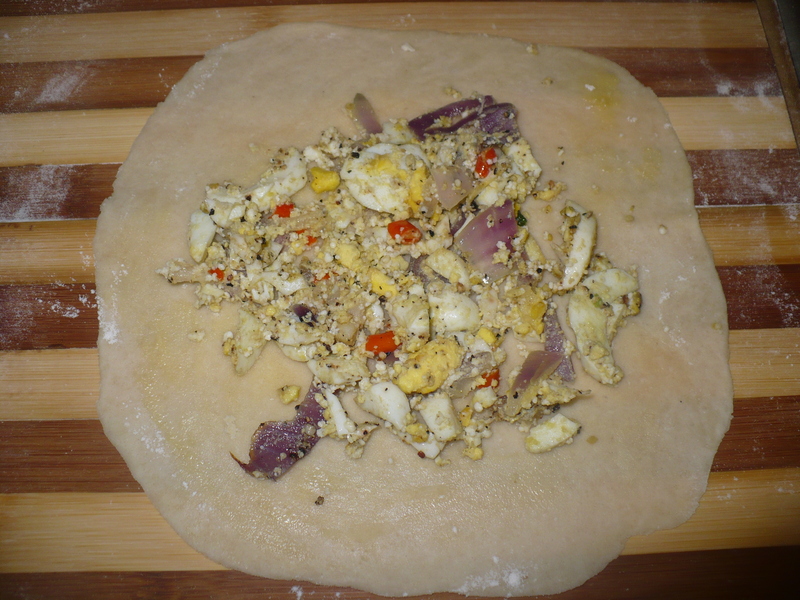 Make two balls from the dough . 1. Take one ball and try to roll it into a thin square shape . 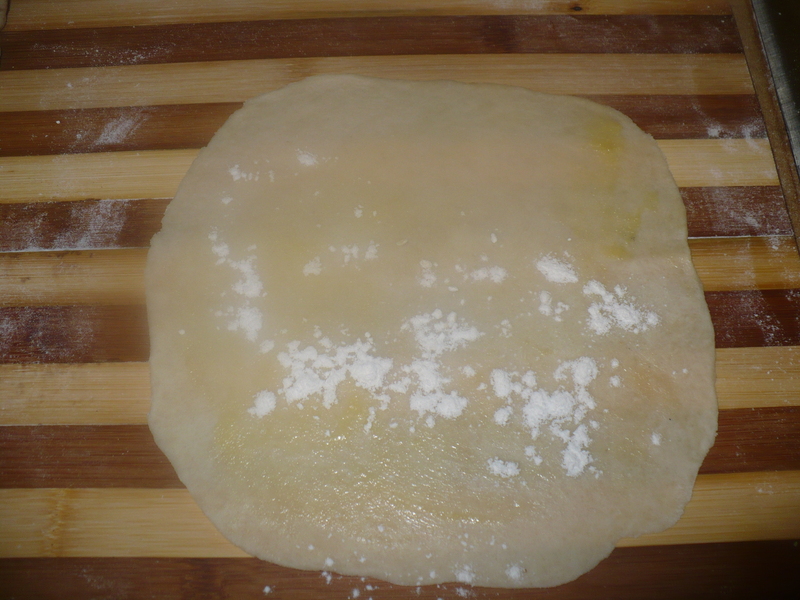 apply some ghee over it and dry the ghee with some dry flour . That would help to create flaky effect . 2. Put some filling . 3. 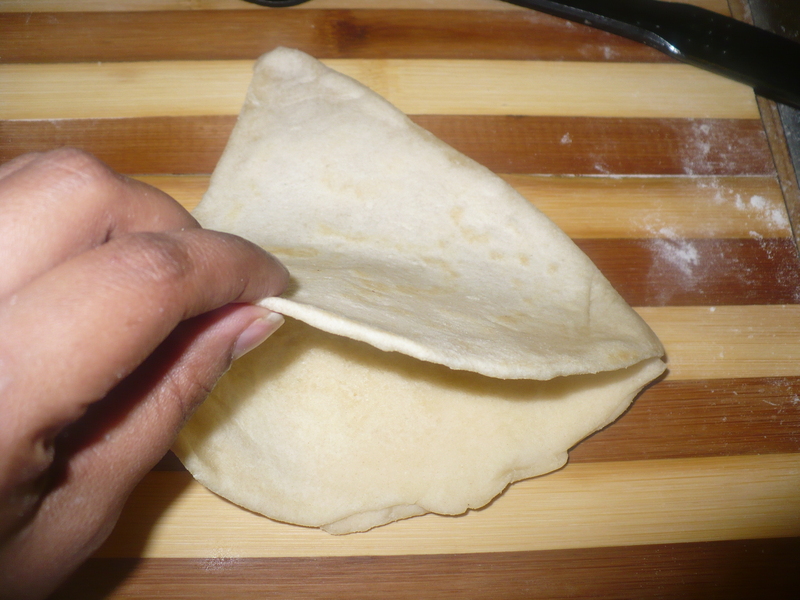 Now cover the filling by one side of the paratha lengthwise or just try to make a cone . 4. Cover by the other side too . 5. 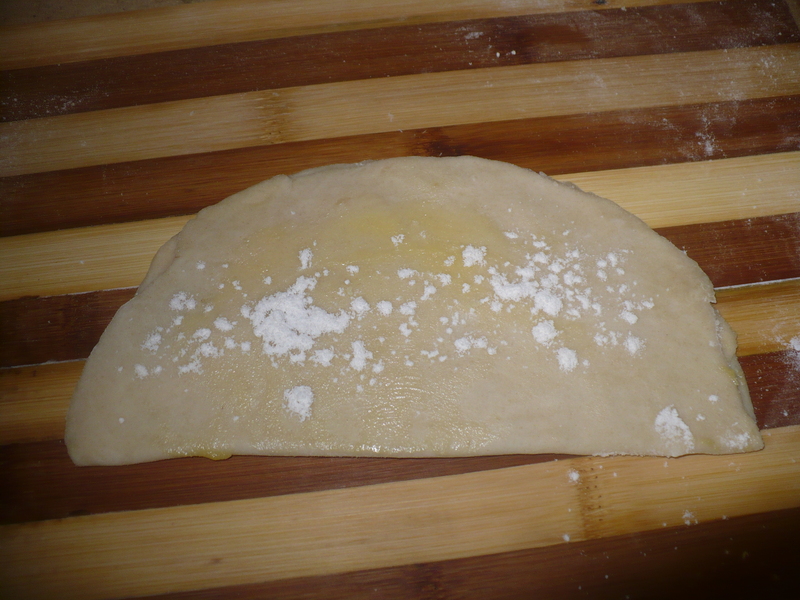 Seal the remaining outer end with cream cheese or ghee. 6. 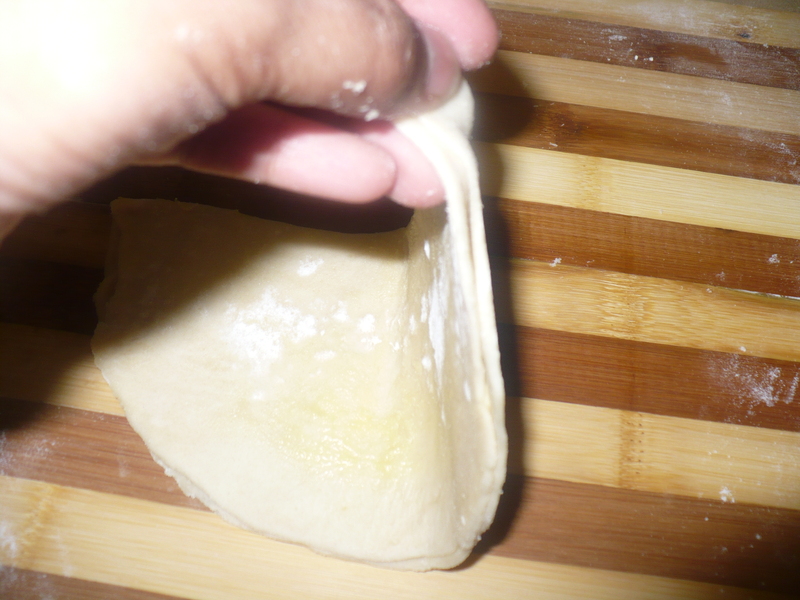 Heat the frying pan and fry the paratha without oil just like roti . When done add some ghee and fry on medium heat . That would make the paratha crisp . if you have more than one paratha , fry them all without oil first then add oil and fry one by one . 1. Roll the other ball into a thin round disk . .
2. 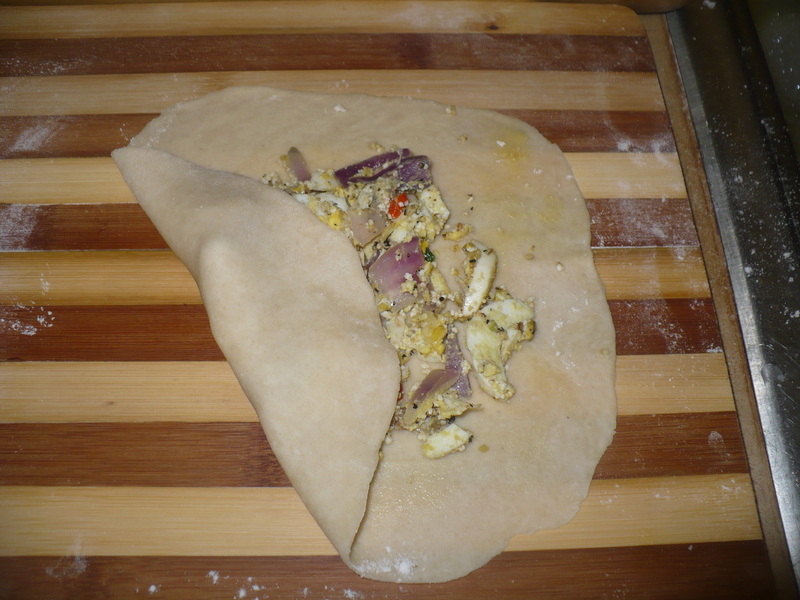 Apply some ghee over it and dry out the ghee with some flour. 3. Fold the disk into a semi circle. Rub ghee and then again dry out the ghee with flour. 4. 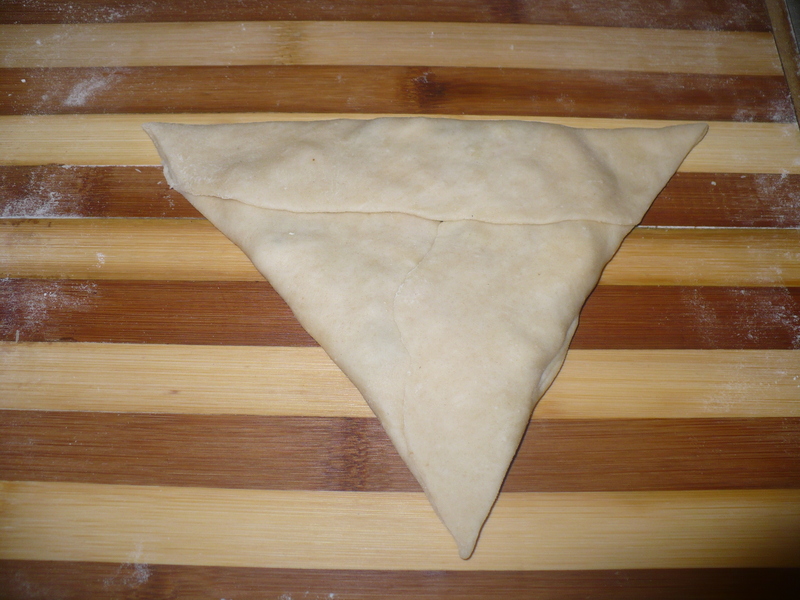 Fold again and you will see a triangle shape. 5. 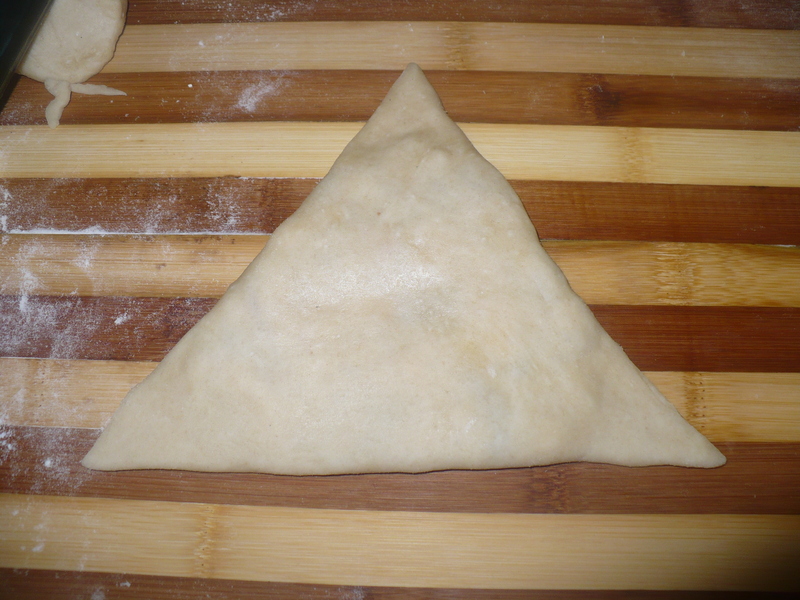 Now Roll the triangle little larger . 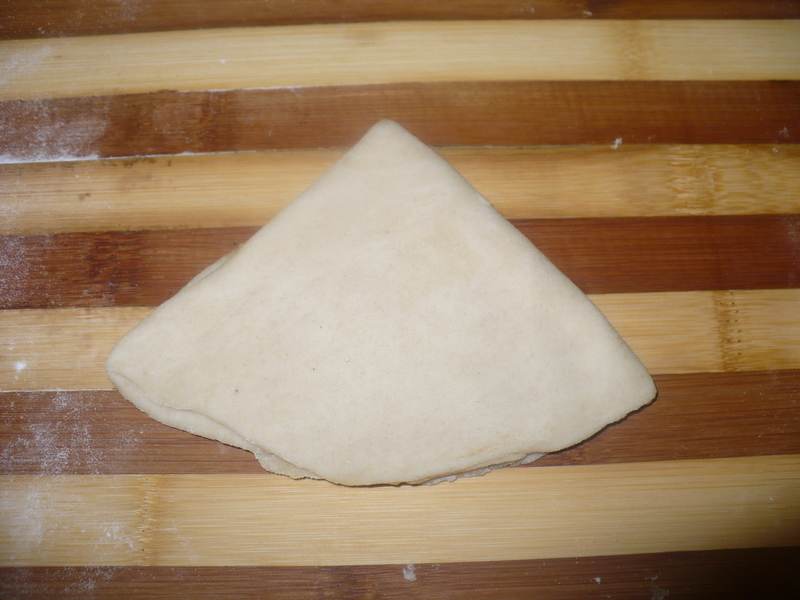 Try to adjust the shape with the help of your hands. 6. 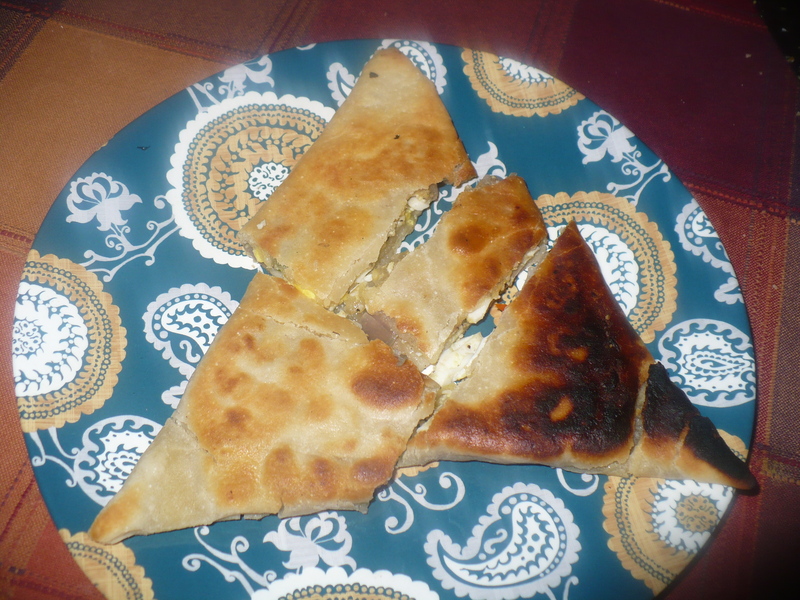 Fry the paratha on a heated pan/tawa without oil . Transfer it to a plate . 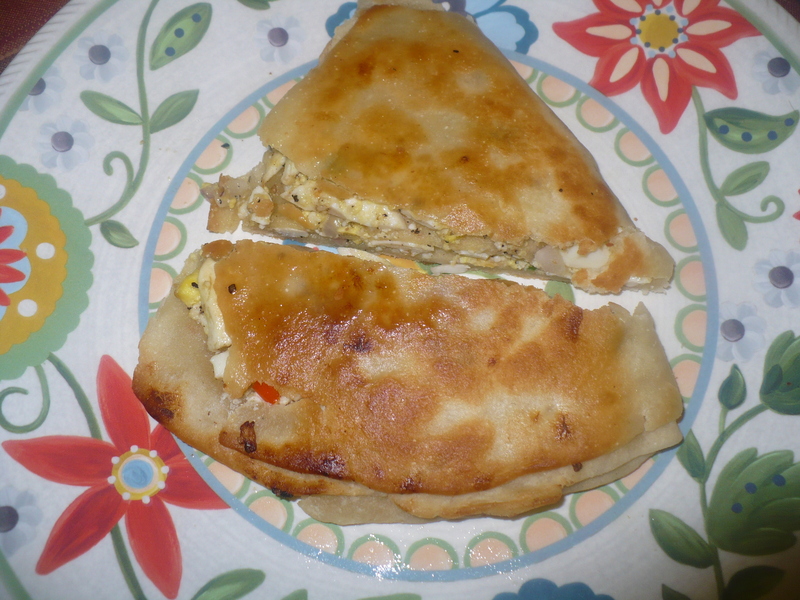 You will see some pockets in the paratha . Apply some cream cheese or ghee in each pocket with a butter knife. Fill in each pockets with the filling. 7. 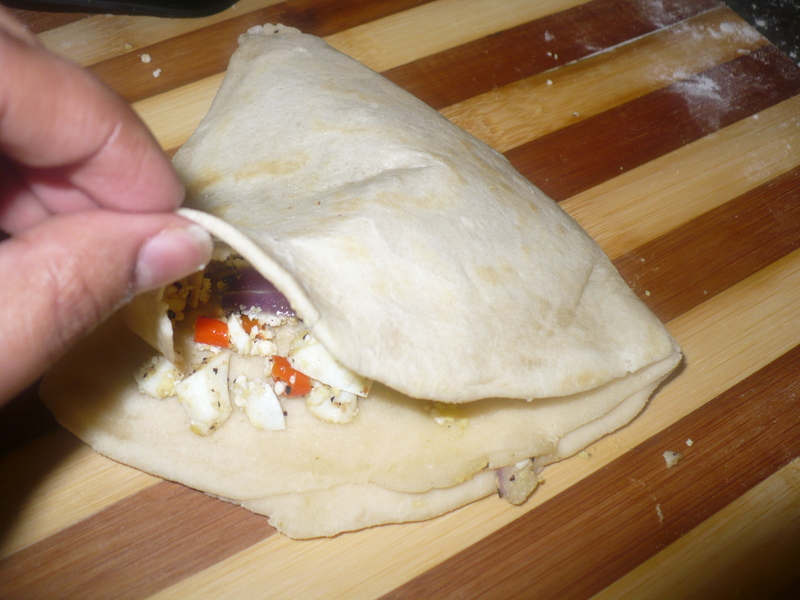 Seal the ends with cream cheese or beaten egg . I prefer cream cheese . 8. Transfer it to the heated tawa or pan . add some ghee or oil and fry on medium heat until crispy. 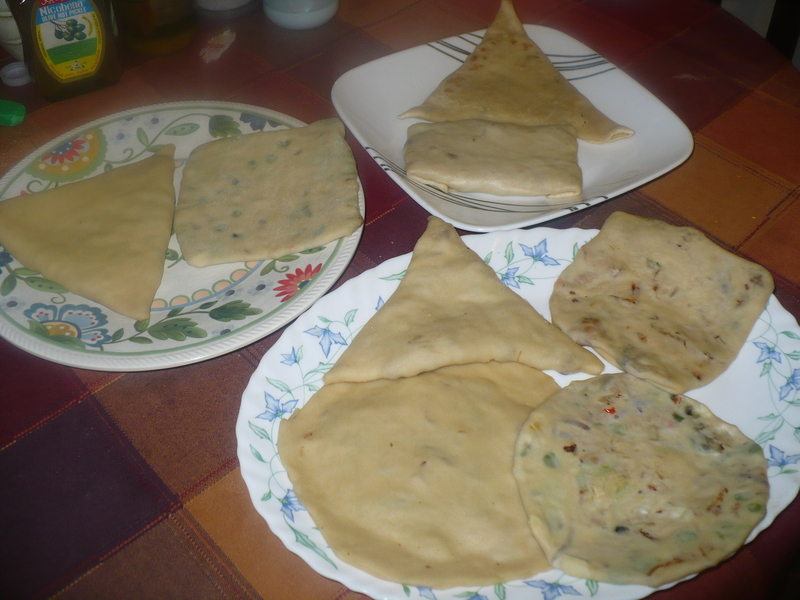 The beauty of this recipe is , you can preserve the semi-cooked parathas in refrigerator just like frozen parathas and just fry them in oil whenever you want . To make them frozen, fry them without oil or ghee after making them . Then let them cool . 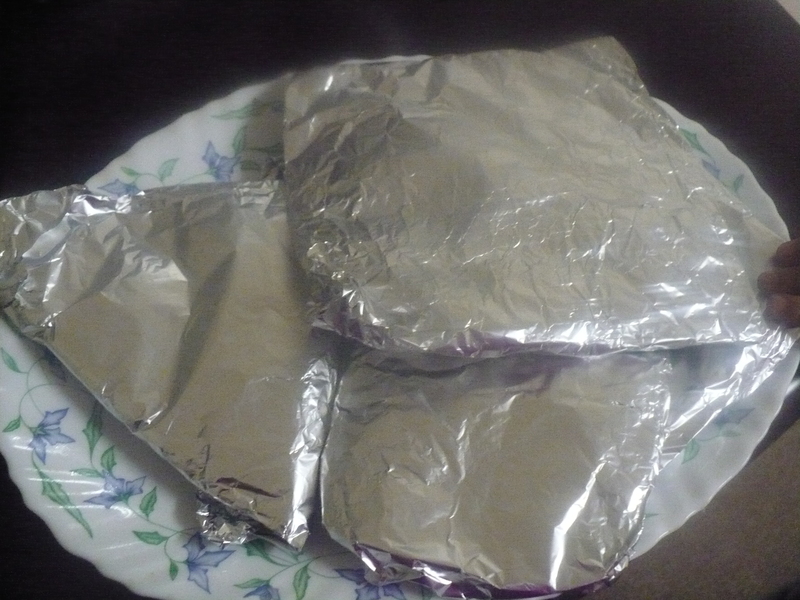 Pack with aluminium foil or cling film , store them in the deep chamber! 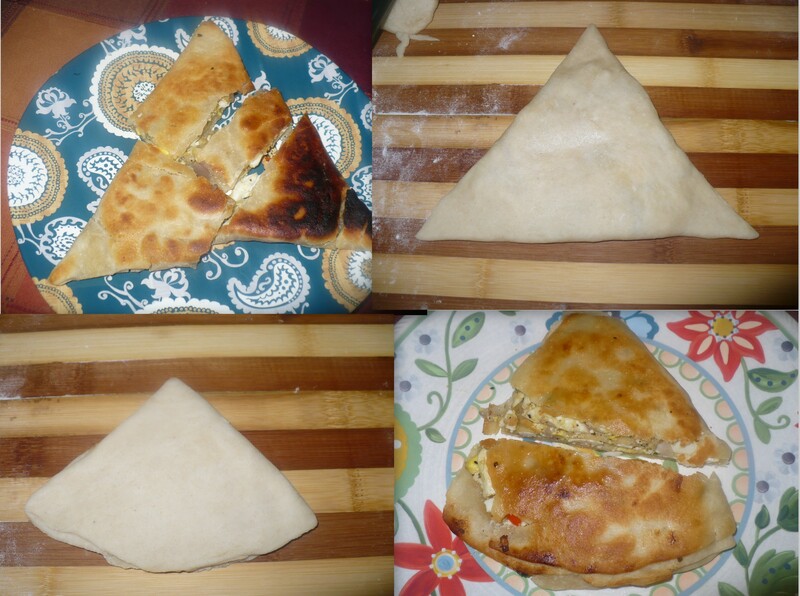 This entry was posted in Breakfast, Glossary / Notes, Snacks and Lighter Fare and tagged boiled egg stuffed parata, boiled egg stuffed paratha, boiled egg stuffed porota, egg parata, egg paratha, egg porota, Egg stuffed paratha, Paratha, Paratha Recipe, stuffed paratha, stuffed porota, stuffed triangle parata, Triangale porota, Triangle parata, triangle paratha, Triangle paratha recipe, Triangle stuffed paratha. Bookmark the permalink. Suji ingredients e ase..eta kothay lagbe? MashAllah Apu!!!!! u r the BEST!!! !